As documented previously, the SANDAG board voted to approve a California Environmental Quality Act (CEQA) exemption for the Uptown project. The SANDAG staff report clearly articulated the reasoning for exemption from CEQA. (Cliff notes version: bicycling is good for the environment!) This was a victory considering the fact that the California Restaurant Association (CRA), hired by the Hillcrest Business Association (HBA) lobbied heavily to expand the HBA Hole (my term for the University Avenue gap created last year after heavy lobbying by the HBA) to Fourth and Fifth Avenues north of Robinson St. The basis for lobbying effort? Concerns over the 12-16 curbside parking spots being replaced with a protected bike lane that would result in many more community and economic benefits. Prior to registering his vote, SANDAG board member, Supervisor Ron Roberts stated that he was “disappointed” that SANDAG staff was “dismissive” of HBA’s parking concerns. He comments demonstrated his disregard for the net parking gain of the project and he expressed eagerness to revisit the design of the bikeways on Fourth and Fifth Avenues—a project that has been in the community outreach process (with a HBA representative present throughout the process) since 2012! While Roberts eventually voted for the CEQA exemption, he only did so after being reassured that the design of Fourth and Fifth Avenues could be revisited. He expressed a desire for a solution that would appease both the HBA and the CRA. While Roberts expressed concerns over curbside parking, Councilmember Gloria responded with a passionate defense (audio starts @2:16:03) of the Fourth and Fifth Avenue alignments. Gloria addressed the parking concerns directly by reminding the board of the net gain of parking for the entire project as well as his experience as a Hillcrest resident parking in the local garages that are never full. He also echoed BikeSD’s concerns that parking enthusiasts from HBA and CRA would never be satisfied. The Uptown Bikeway’s goals are also to, “[i]mprove travel safety for everyone, and create an exceptional biking experience.” “Everyone” includes children—a demographic that Supervisor Roberts has repeatedly claimed to care about. How is continuing to encourage driving (by creating bicycling facilities in a swiss cheese approach) supposed to increase healthy and active living in the current and next generations? How will parking facilities on our public streets reduce obesity when the unequivocal outcome of our elected representatives’ votes continue to encourage driving? 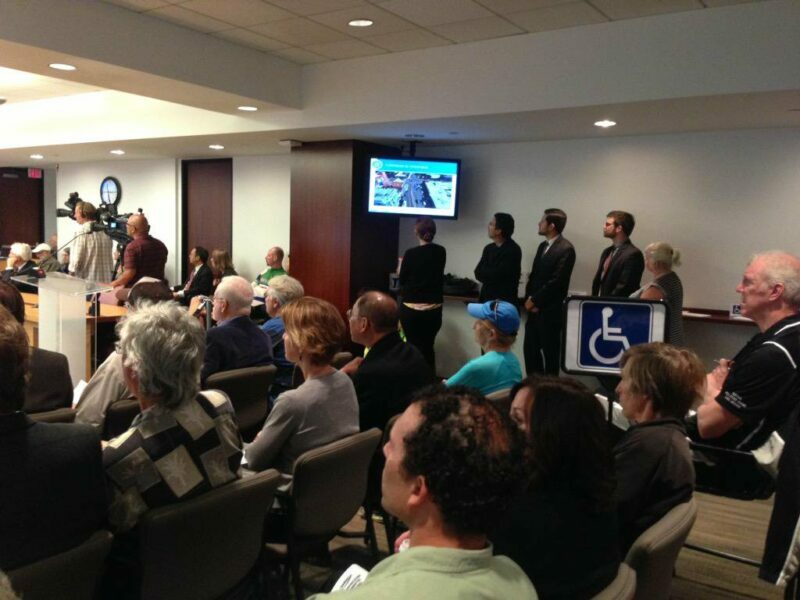 Bike San Diego will continue to advocate for a complete uninterrupted bikeway in Hillcrest. 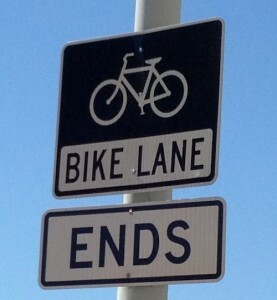 Uptown residents deserve a bikeway without “Bike Lane Ends” signs. Todd Gloria will not be in the SANDAG boardroom to defend Uptown Bikeway in 2017. While he moves on to the State Assembly, the successful implementation of the Uptown Bikeway will depend on the leadership of County Supervisor Ron Roberts, District 3 Councilmember-elect Chris Ward and Mayor Kevin Faulconer. And we hope that Supervisor Roberts shows a willingness to implement the Uptown Bikeway network without supporting any additional gaps, so that the next generation—our children—can integrate active living as a core part of their daily activity and make obesity a relic of the past.